Coming from Pro-Line are two new 1.9” off-road truck tyres in the form of the Class 1 BFGoodrich Mud-Terrain T/A KM3 and BFGoodrich Krawler T/A KX Red Label Predator rock terrain tyres. Starting with the KM3, it is BFGoodrich’s Off-Road Maximum Traction tyre with aggressive tread lugs that bite into loose or muddy surfaces and climb over slippery rocks. Based on the BFGoodrich Krawler T/A KX symmetric tread design, the Mud-Terrain T/A KM3 features deep, self-cleaning independent tread blocks and linear transverse flex zones to provide the grip that you need to get over the toughest obstacles. The tyre is moulded from G8 compound and it fits most 1.9” crawler wheels. 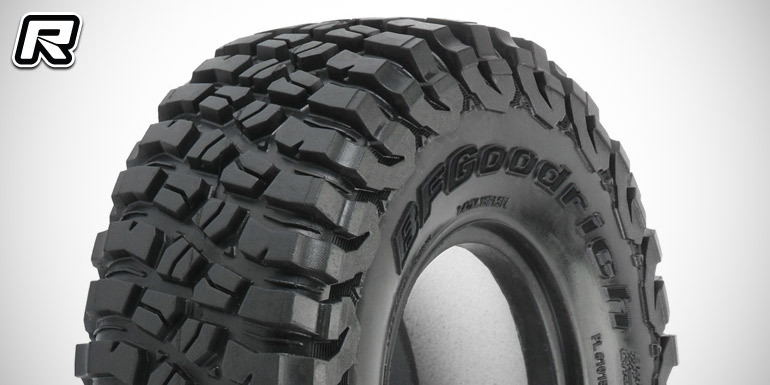 The BFGoodrich Krawler T/A KX Red Label 1.9″ Predator tyre come in Pro-Line’s super soft Predator compound. The full scale variant is BFGoodrich’s Off-Road Maximum Traction tyre for off-road enthusiasts who participate in the extreme sport of rock crawling to challenge their driving skills and the performance of their vehicles. This purpose-built rock crawling tyre was developed through participation in competition as BFGoodrich worked directly with full-size rock crawling enthusiasts. 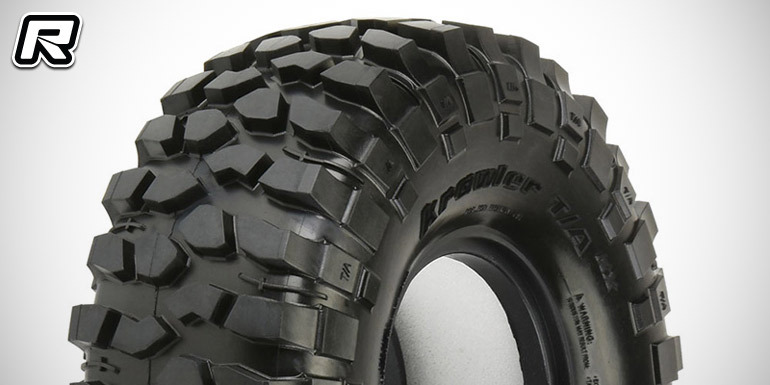 The Krawler T/A KX features an extra deep tread design with a tread pattern that combines deep, aggressive independent blocks with solid sidewall lugs.